Do you want to have the best high end technology in your surveillance system without needing to have a big budget? Logicom Media Solutions Corp brings you the latest in DVR technology. Our latest DVR brings different features, but the most important one is that you can have an analog camera of 2 MP HD or an HD IP camera connected to the network, all in the same equipment. You can upgrade your cameras little by little without having to spend so much out of your budget or changing all the DVRs. 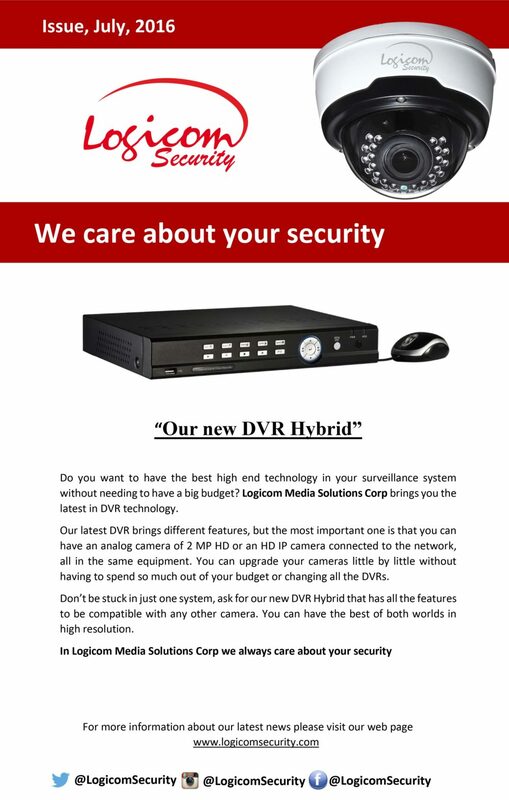 Don’t be stuck in just one system, ask for our new DVR Hybrid that has all the features to be compatible with any other camera. You can have the best of both worlds in high resolution.